When arriving at Phnom Penh International Airport, choose between Drop off lane and Parking. Drop off Lane: this lane is accessible for all vehicles. However, in order to ensure its efficiency for everyone, we however have to restrict its use, free-of-charge, for only 10 minutes. Beyond these 10 minutes free, we will have to apply a deterring fee. Regular Parking: for a stay longer than 10 minutes, we advise our customers to direct themselves to the regular parking lanes, either departures or arrivals parking. The fares are listed below. Note that it is strictly forbidden to park along the driveway. Parking is authorized only in car park spaces. The vehicle can be removed and penalty applied. Buses will be informed when to pick up their passengers, using Drop off Lane. 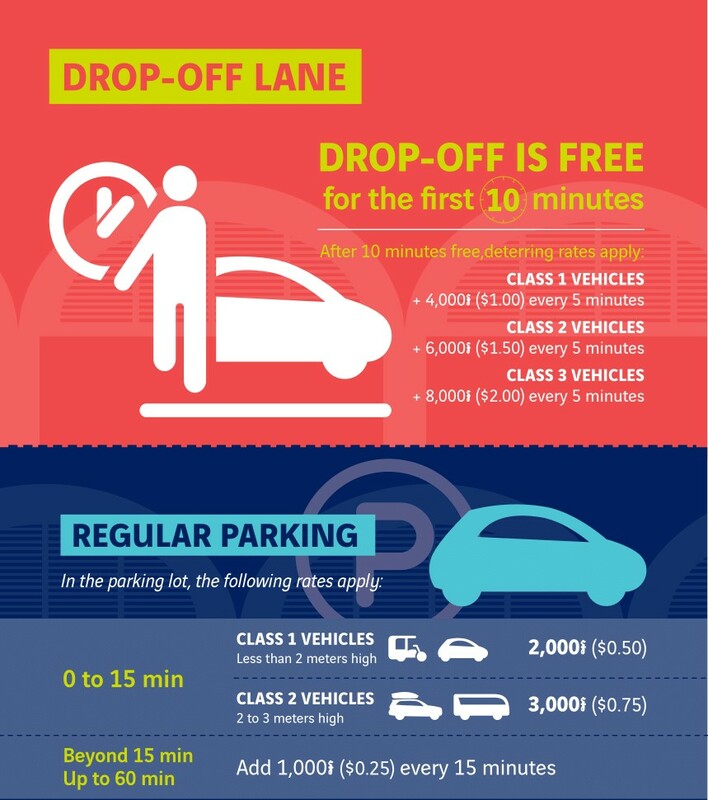 Be careful, the Drop off lane is intended for drop off only and longer station leads to significantly increase of the amount you will have to pay. You can purchase your card at our Car Park Customer Service counter.